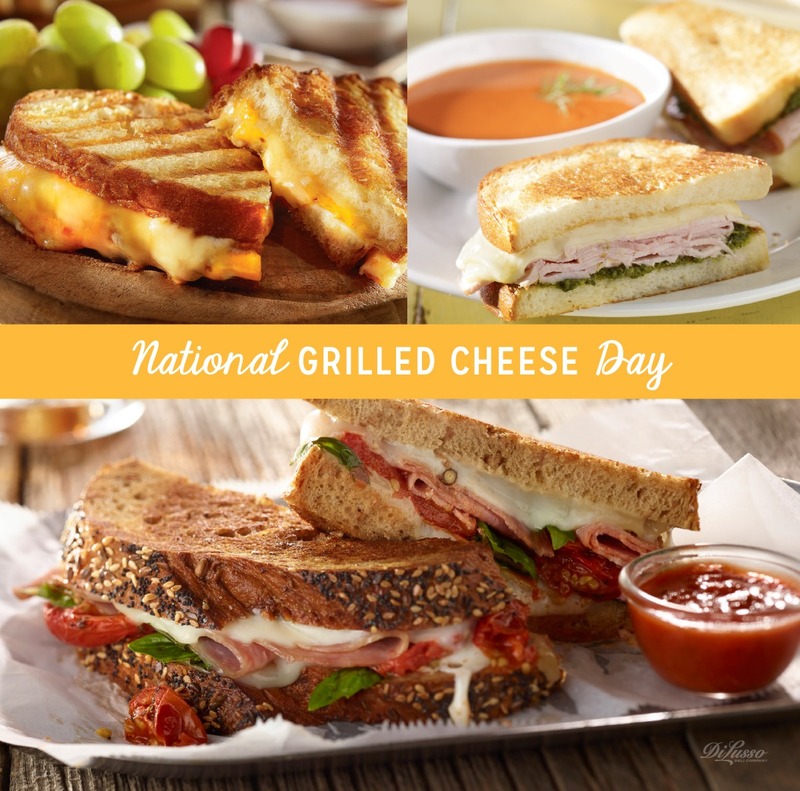 As though we need a special day to enjoy a grilled cheese sandwich! The fact that it has its own designated day just proves how beloved this sandwich is for people of all ages. 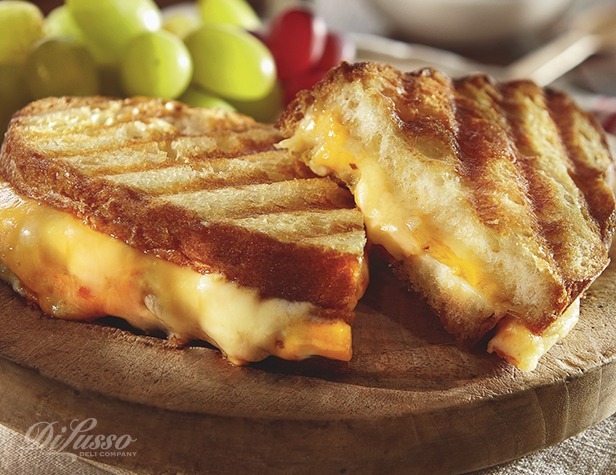 DI LUSSO® deli cheeses are just right for making the perfect ooey-gooey grilled-to-perfection sandwiches, and we have some variations on the tried and true so that you can find an excuse to make a grilled cheese sandwich multiple times in a week! Starting off is our Tre Formaggio. This grilled-cheese superstar features three delectable cheeses—zesty DI LUSSO® Chipotle Cheddar, smooth Provolone, and mellow Smoked Gouda on sourdough cooked on a panini press until it’s crunchy on the outside and a miracle of melted magnificence on the inside. A simple grilled cheese sandwich is amazing, of course. But add additional flavorful ingredients, and the sandwich goes from amazing to mind blowing. The Italian Grilled Cheese is redolent with roasted tomatoes, fresh basil and DI LUSSO® Sopressata—and plenty of mozzarella and provolone, of course. And may we suggest the incredible Turkey Havarti and Pesto Grilled Cheese? If you love basil and garlic, you’ll love how jarred pesto brings this sandwich to life, along with DI LUSSO® Smoked Turkey and creamy Havarti cheese grilled to perfection. Serve any of these great grilled cheese creations with what else—tomato soup. This slowcooker Tomato Fennel Soup is perfect with any grilled cheese sandwich or by itself. Heat 2 tablespoons olive oil in a large heavy pot over medium heat. Add 2 cups finely chopped fennel bulb and saute until tender, about 5 minutes. Do not brown. Add 1 (28-ounce) can Italian tomatoes, drained (reserve juices for later) and saute another 5 minutes. Add reserved tomato juices, 2 2/3 cups low-sodium chicken broth and ¼ cup fresh lemon juice. Return to pan and season with salt and pepper. Garnish with chopped fresh parsley and fresh fennel fronds. Any and all of our grilled cheese creations, with or without this delectable soup, make comforting, satisfying lunches or dinners.